None of which ever got made. It will after you read the book! Like all publication stories, my story starts with some longing. It is bolstered by back story. And has an amazing open ending that I hope will make you think. I’ve written about this many times. It is a story I tell when I talk about the power of play. It was Sept 2014. I had just received a really rough rejection for a YA novel that I had poured my heart into. That novel, Strong Girl, represented the kind of writer I yearned to be—the writer of important books and tough topics. As we all know, rejections are not created equal. But I was lucky. I was teaching at the Highlights Foundation. I had no time for wallowing. I was doing my favorite work—helping others find their stories. So I walked. I probably cried. And then I decided to change the way I did things. I decided to write what made me happy. I gave myself six months to play—to write for fun—not for publication. Just Like Rube Goldberg came from this challenge! When I think about it now, I could have found this idea a lot earlier, if I’d been looking. I have this memory of the first time I saw Chitty Chitty Bang Bang, and the Rube Goldberg-style breakfast maker in that film. I love Back to the Future. And I’m pretty sure I read Rube’s Foolish Questions at an impressionable age. But the spark (or should I say sparkle!) came after hearing Tami Lewis Brown read from her picture book biography. Do we really ever know why an idea finds us? All I know: I worked hard. The voice came naturally. (I think my career has been a bit like a Rube Goldberg contraption!) I sent it to my agent. I begged her to hurry—I had a feeling that this book was being written by others. Allyn Johnston bought it. Robert Neubecker agreed to illustrate. We did not talk about Rube AT ALL, but somehow, he knew how to illustrate my words. I still can’t look at the book without getting a bit weepy, and for the record, when I’ve read it to kids, they giggle like crazy! Someone usually falls out of his or her chair! I can’t wait to bring this book to classrooms! I know that the power of play—and some Goldbergian magic—changed how I approached writing for children. Not all my ideas sell—not by a long shot! 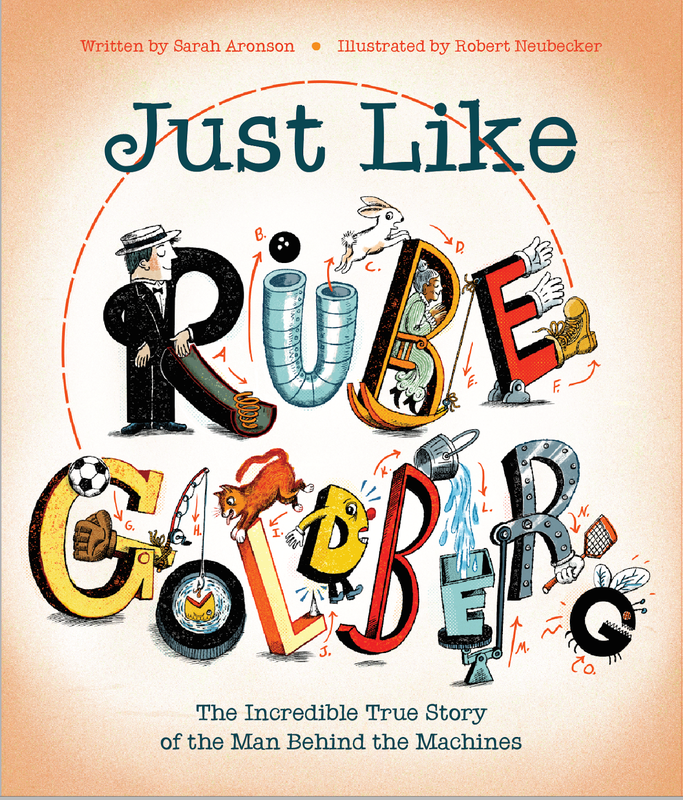 But when I sit down to imagine, I think like Rube Goldberg. Creativity is a gift. Revision is a challenge. A Rube Goldberg chain reaction may disregard the laws of physics, but they always make sense on paper! Just like our stories! 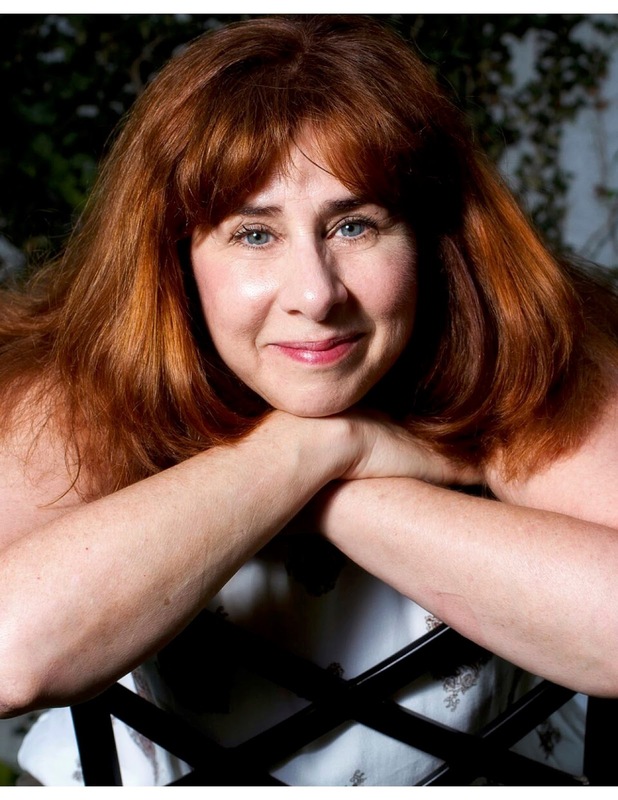 Sarah Aronson began writing for kids and teens when someone in an exercise class dared her to try. Since then, she has earned an MFA in Writing for Children and Young Adults from Vermont College of Fine Arts, and published three stand-alone novels: Head Case, Beyond Lucky, and Believe. 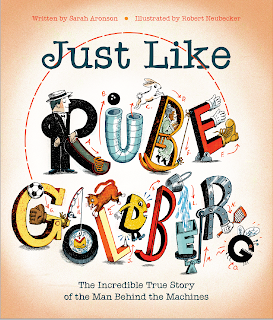 Her most recent books are part of a new young MG series, The Wish List (Scholastic, 2017-2019) as well as the picture book biography, Just Like Rube Goldberg (Beach Lane Books), illustrated by Robert Neubecker. 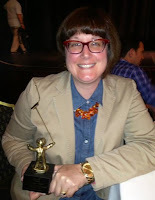 When Sarah is not writing or reading (or cooking or riding her bike), she is talking to readers about creativity, writing, social action, and of course, sparkle power! She loves working with other writers in one of her classes at the amazing Highlights Foundationor Writers on the Net (www.writers.com). She serves as the PAL coordinator for Illinois as is heading up the Read Local initiative. She loves sports. She overuses exclamation points. When she’s excited, she talks with her hands. That was easier said than done in Victorian England. But Isabella persisted, and with each journey, she breathed in a new ways to see and describe everything around her. First, out in the English countryside on her father’s horse. Then, off to America, Africa, Asia, Australia, and more. 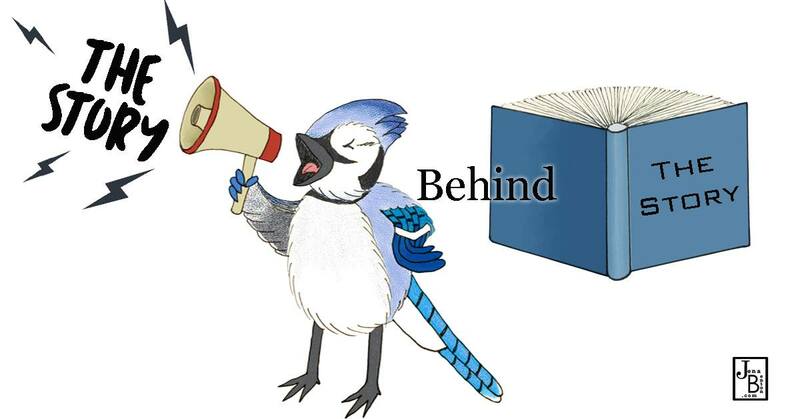 When it comes to picture books, the story behind the story is one of my favorite topics. I’m always curious about where authors get their ideas and equally excited to share the stories behind my stories. I think these behind-the-scenes stories are endlessly unique and fascinating. 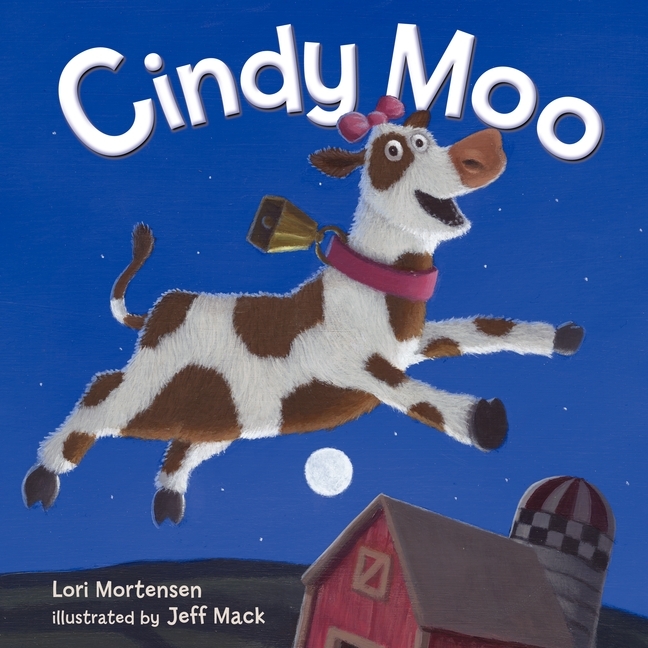 For example, I got the idea to write my rhyming picture book Cindy Moo (HarperCollins) when I was browsing around my local thrift store and happened to find a worn figurine of a cow sitting on a crescent moon. As soon as I saw it, I knew I wanted to write a story about how the cow got there. Another time I was visiting my local library when the words, “Mousequerade Ball” popped into my head. Once I had the title, the story seemed obvious. It would be a counting story where an increasing number of mice would arrive at a ball. 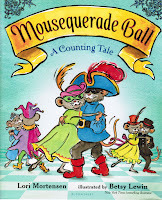 This turned into the rhyming, counting picture book Mousequerade Ball published by Bloomsbury. Then, there were the Houdini dogs next door that regularly escaped from their backyard and raced down the street. Within minutes, my neighbors were chasing after them yelling for them to come back. After one false start and plenty of revisions, this turned into my most popular rhyming picture book, Cowpoke Clyde and Dirty Dawg (Clarion) about a cowpoke trying to catch his dirty dog for a bath. 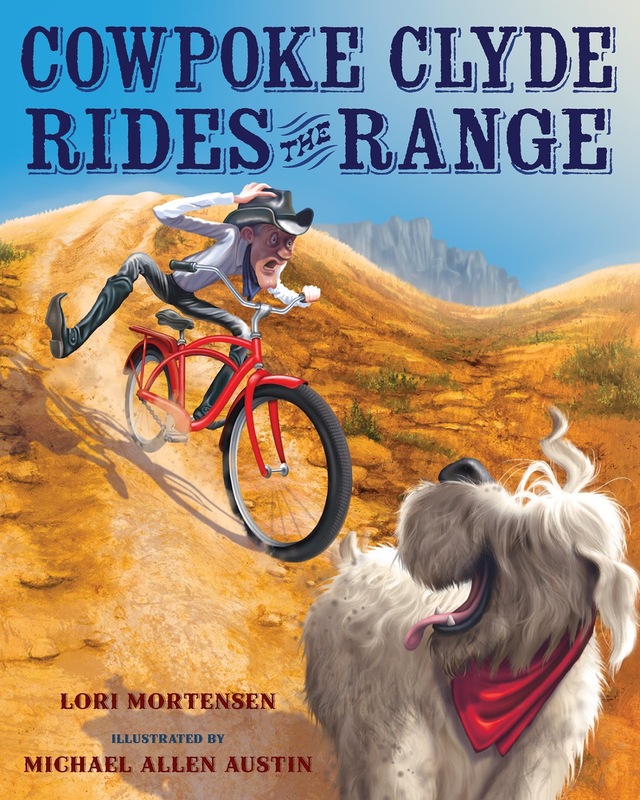 It became one of Amazon’s best picture books of 2013 and inspired a sequel, Cowpoke Clyde Rides the Range. Most of the time, however, coming up with an idea is a matter of sitting at the computer and making it happen. That was the case for my latest picture book biography release Away with Words: The Daring Story of Isabella Bird (Peachtree). Like most people, I’d never heard of Isabella Bird before. However, one day when I was at my computer looking for a new project, I decided to research women’s firsts online—first woman doctor, first woman astronaut, first woman lawyer, etc. When I discovered Isabella Bird was the first woman member of the Royal Geographical Society, I was instantly intrigued. After all, how many women explorers did I know? Practically none. Once I delved into some research, I knew I wanted to tell Isabella’s exciting story. 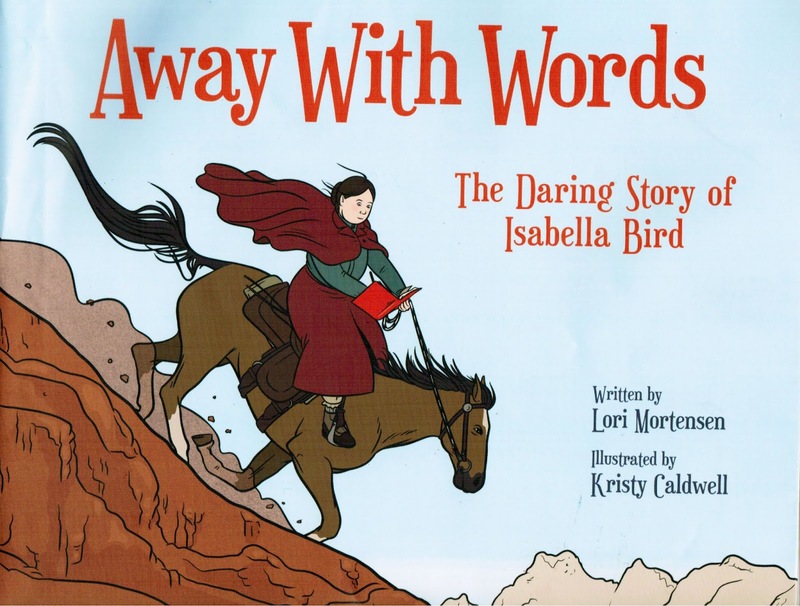 Much like Isabella’s adventures, writing a picture book about her turned into its own journey with a lot of twists, turns, and detours. One of the first challenges was deciding how to tell her story. After many revisions and approaches, an agent, and more revisions, I thought it was ready. But my agent disagreed. In time, the agent and I parted ways and I put the manuscript away. It made all the difference. The metaphor created a thread and captured Isabella’s story in a way that other versions hadn’t. On the way to publication, there was a new agent, more submissions, more rejections, more editors, the long-awaited offer (Hallelujah! ), and then the search for the perfect illustrator. When I began writing her story, I had no idea the journey from first draft to publication would take 10 years. However, when I think about it, it seems only fitting that the manuscript about this wild-vine adventurer would have its own share of bumps and detours along the way. 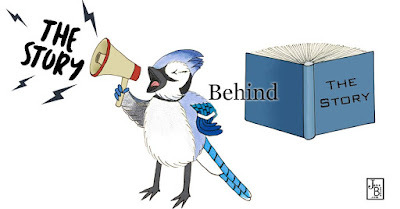 In 2020, Houghton Mifflin will publish another picture book biography that is still under wraps until the release date is closer. The story behind this story? I was on one of my morning walks when I heard a podcast about someone I knew would make a terrific picture book biography. Those are just a few of my stories behind the stories. What will your story be? 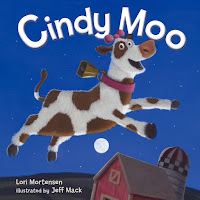 Lori Mortensen is an award-winning children’s book author of more than 100 books and over 500 stories and articles. 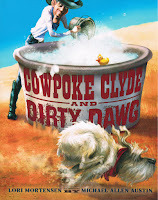 Recent picture book releases include Away with Words, the Daring Story of Isabella Bird (Peachtree), If Wendell Had a Walrus (Henry Holt), Chicken Lily, (Henry Holt), Mousequerade Ball (Bloomsbury) illustrated by New York Times bestselling illustrator Betsy Lewin, and Cowpoke Clyde Rides the Range (Clarion) a sequel to Cowpoke Clyde & Dirty Dawg, one of Amazon’s best picture books of 2013. Lori lives in Northern California. When she’s not letting her cat in, or out, or in, she’s tapping away at her computer, conjuring, coaxing, and prodding her latest stories to life. 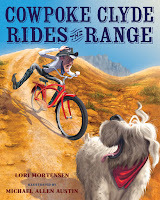 For more information about her books, events, upcoming releases, and critique service, visit her website at http://www.lorimortensen.com and follow her at Facebook, Twitter and Pinterest. I was inspired to write Martin & Anne after learning they were both born in the same year – 1929. I have always written about people who inspire me, people that I think will inspire kids to make a positive difference in the world. Up until now, however, I’ve made it my mission to shine a spotlight on people who were not well known. 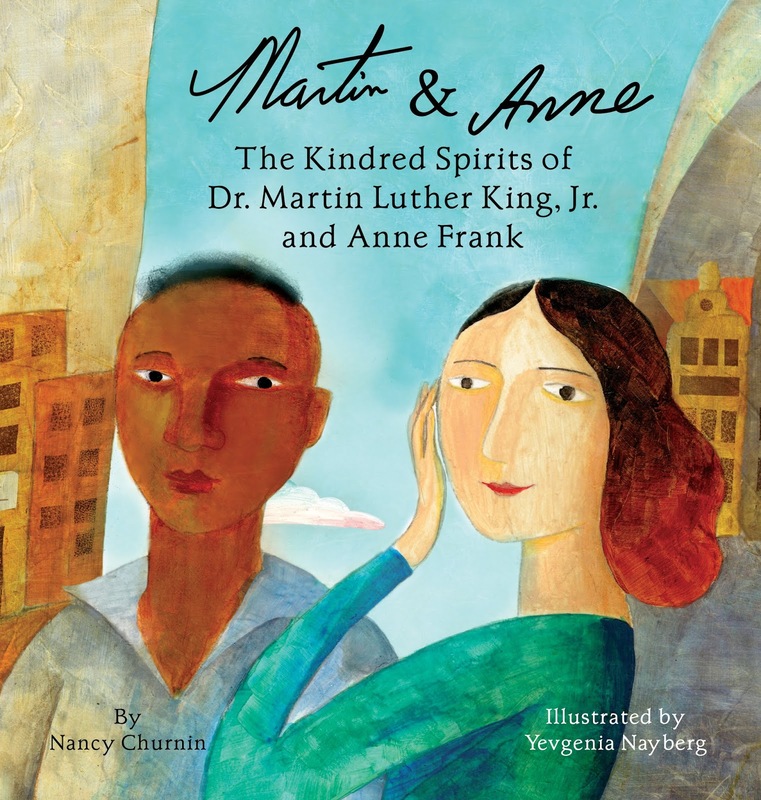 Both Dr. King and Anne Frank are famous. Still, I couldn’t stop thinking about how different they seemed on the outside – different genders, races, religions, countries, languages – and how similar their hearts, spirit and message were. That similarity sends a powerful message in a polarized world where it’s been painful to see so many people turn inward to their own separate bubbles and attack those they perceive as different. I thought that if I focus on how much these two people have in common, it may help kids to see how much we all have in common. That’s why I created a project to go along with the book, Kindred Spirits, where I ask kids and schools to reach out to kids and schools in other neighborhoods, cities, states and maybe even countries and explore the dreams and hopes they share. The book is dedicated “For those whose lives were cut short everywhere, including Bialystok June 27, 1941. Your memory is a blessing. Love lives on.” That is in honor of all victims of hate crimes, including members of my maternal grandfather’s family who were rounded up into a synagogue that was set on fire by Nazis. Being hyper aware of where prejudice can lead, I’ve been discouraged and worried to see a rise in hate crimes, bullying and ugly speech. Spending time thinking about the spirit and words of Dr. King and Anne Frank gave me hope. When I would see or hear things that alarmed and frightened me, I would remember that despite terrible things happening around Dr. King and Anne Frank and to them, they never gave up on humanity, that the "arc of the moral universe...bends towards justice," as Dr. King said and that people are "really good at heart," as Anne Frank said. It's my hope that the book will give that same hope to kids and that these parallel stories will encourage them to come up with new ways that kindness can heal the world. Because the world is waiting for their ideas and actions! 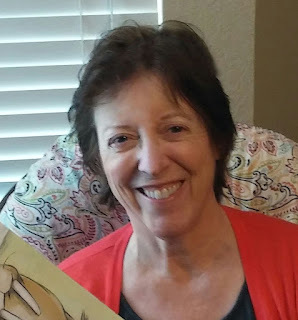 AUTHOR BIO: Nancy Churnin is the author of eight picture book biographies, two of which are due out in 2020. MARTIN & ANNE, THE KINDRED SPIRITS OF DR. MARTIN LUTHER KING, JR. AND ANNE FRANK is a Missourian in Education March Book Buzz pick and a Children’s Book Council Hot Off the Press pick. THE WILLIAM HOY STORY, HOW A DEAF BASEBALL PLAYER CHANGED THE GAME is on multiple state reading lists. MANJHI MOVES A MOUNTAIN is the 2018 winner of the South Asia Book Award, a 2017 Junior Library Guild selection, a 2018 Notable Social Studies Trade Books for Young People, on the 2018 ILA-CBC Children’s Choices list, a Silver Eureka Award-winner and a 2019 Little Free Libraries/Children's Book Council Action Book Club Selection. CHARLIE TAKES HIS SHOT: HOW CHARLIE SIFFORD BROKE THE COLOR BARRIER IN GOLF, winner of the Silver Eureka Honor Award. IRVING BERLIN, THE IMMIGRANT BOY WHO MADE AMERICA SING is a 2019 Sydney Taylor Book Award Notable Book, a 2019 Social Notable Social Studies Trade Books for Young People. THE QUEEN AND THE FIRST CHRISTMAS TREE is on the 2018 A Mighty Girl list. A native New Yorker and former theater critic for The Dallas Morning News, Nancy is a Harvard University alumna, with a master's from Columbia University. She lives in North Texas with her husband, a dog named Dog and two cantankerous cats. JACKET FLAP COPY FROM BOOK: What’s the connection between Martin Luther King, Jr. and Anne Frank? They seem to be from different worlds, different lifetimes, but they were born the same year, 1929. Across the ocean, the faced similar racial hatreds and reacted to that hate with words of love, reaching out to build understanding rather than divisiveness. Martin & Anne tells their inspiring stories, encouraging all of us to choose kindness whenever we can. David Rodriguez Lorenzo and I are squealing with excitement to have our Cover Reveal featured on Kathy Temean's Writing and Illustrating! Please pop in see Moldilocks and the Three Scares Cover revealed, as well as a few other covers joining in the fun! We would love for you to comment here, or on Kathy's blog to share our celebration! PLEASE feel free to subscribe to this blog (submit e-mail in the upper right hand corner, where it says subscribe via e-mail) and follow, as well! I don't want you to miss out on any of the upcoming critique and book giveaways! Everyone has to be brave. Sometimes. And bravery means different things to different people. One person might do something easily while another person has to screw up every ounce of courage to do the same thing. I wrote WHEN YOU ARE BRAVE, which releases Feb. 5 from Little, Brown Books for Young Readers, during a time in my life when I had to be brave. Initially, I wrote it as a pep talk to myself. They were the words I needed to hear at one particular moment. Later, I wondered if other people might need to hear them too. I started thinking about all the ways we ask – or even expect – kids to be brave. And how we’re often frustrated when they’re not. It’s easy to forget that things we take for granted can be new and scary to kids. And while some kids are happy to plunge into the deep end or go headfirst down the slide, others need more time and support. So I shared my own personal pep talk with my agent and then she shared it with an editor who then acquired it. Of course, there were edits to be done, but the story stayed remarkably true to the first draft I wrote when I was feeling uncertain and worried. I think that’s because what I wrote was honest. And relatable. When I talk to people who want to write for children, I often say that stories need to have a universal human emotion at their heart. A feeling or moment that makes readers – whether they’re 5 or 95 – think: Oh, I’ve felt that way. I remember that. Because the kids we’re writing for are people. They might be smaller and less experienced than the adults reading them a story, but they have the same feelings and worries. No matter how old readers are, they want to feel seen. To have a book that feels like it knows them and what goes on in their life and inside their head. 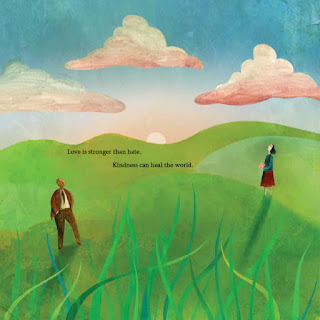 I hope that this book is the sort of story adults and kids can read together and connect to. I hope it’s the kind of book that can start conversations about how it’s OK to be nervous or scared sometimes and what it means to be brave and how we can support each other as we work to be braver. 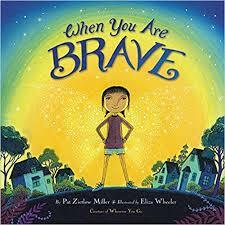 A picture book is a joint effort between the author and illustrator, and Eliza Wheeler did such a great job showing bravery in her art. Her use of color as one child figures out how to be brave is inspired, and interestingly enough, the way she drew the main character reminds me of me as a kid. Of all the books I’ve written, this might be the one I needed most as a kid. Not because I had a horrible childhood. I didn’t. But because I was sensitive. And shy. And prone to worrying. 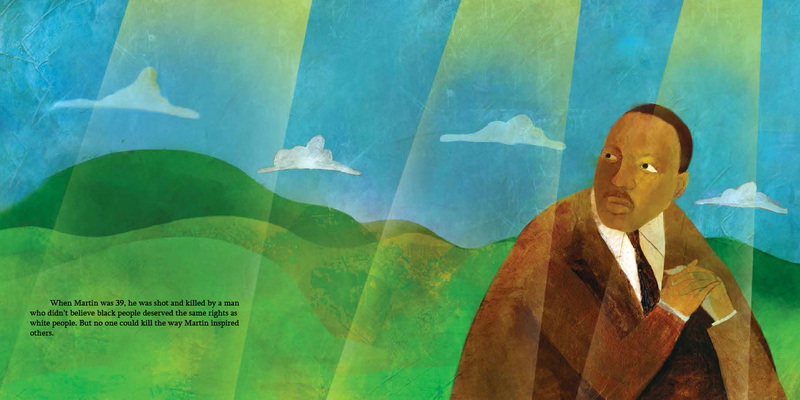 I hope kids and adults who need this book – for whatever reason – will find it and be reminded of the courage inside them. Because everyone has to be brave. Sometimes. If you want to get an up-close look at the wonderful design of the book’s dust jacket, case cover and endpapers, there’s a video pinned to the top of my Twitter feed. And if you want to follow me, I’d be thrilled. If you want to learn more about me, you can visit me at: www.patzietlowmiller.com. I’m also on Instagram. If you want to learn more about Eliza Wheeler, check out her website at: www.wheelerstudio.com. Eliza and I also worked together on WHEREVER YOU GO. Jacket Flap: It is 1943 in Nazi-occupied Denmark. Anett and her parents are hiding a Jewish woman and her son, Carl, in in their celler until a fishing boat can take them across the sound to neutral Sweden. Worried about their safety, Anett thinks of a clever and unusual plan to get them safely to the harbor. Based on a true story. My goodness, this is an awesome and inspiring true tale! I only hope in my lifetime that I could make a difference in someone's lives like this. And I am thankful that this book has sowed seeds that, in the event that I can do so, I will! THIS is what reading is all about. While this book was not about me, or my life, or anything close to it, it spoke to me. And when I closed the cover, I was somehow changed and perhaps even better than I was before. I think this is a wonderful book to use as a tool to introduce the Holocaust to little ones without overwhelming them too much. 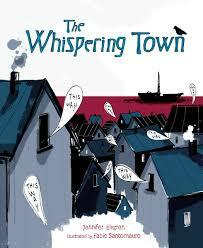 The reason is that although it is a story of the Holocaust, it's a story of humanity, hope and kindness. It's a story of friendship and a clever solution to a problem that god forbid we should ever have again. 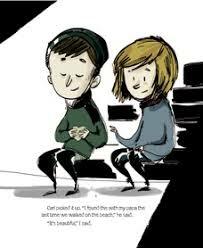 It is a perfect picture book, in a world that I hope will one day united and strive to be perfect. And by that, all I mean is "kind." BRAVO! Jennifer and Fabio for your well-woven words and your appropropriately stark illustrations that still manage to show the heart that shines in those who are kind. PLEASE Subscribe to and/or Follow my Blog above!